This sample tutorial illustrates using ML.NET to create a multiclass classifier via a .NET Core console application using C# in Visual Studio 2017. The sample is the console app that uses ML.NET to train a model that classifies and predicts category of the news headlines. It also evaluates the model with a second dataset for quality analysis. The news articles datasets are from the BBC News. Visual Studio 2017 15.6 or later with the ".NET Core cross-platform development" workload installed. Open Visual Studio 2017. Select File > New > Project from the menu bar. In the New Project* dialog, select the Visual C# node followed by the .NET Core node. Then select the Console App (.NET Core) project template. In the Name text box, type "BbcNewsClassifier" and then select the OK button. In Solution Explorer, right-click on your project and select Manage NuGet Packages. Choose "nuget.org" as the Package source, select the Browse tab, search for Microsoft.ML, select that package in the list, and select the Install button. Select the OK button on the Preview Changes dialog and then select the I Accept button on the License Acceptance dialog if you agree with the license terms for the packages listed. You need to create two global variables to hold the path to the training and test sets. NewsData is the input dataset class and has a string (Label) that has a value for news category, and a string for the news headline (Text). Both fields have Column attributes attached to them. This attribute describes the order of each field in the data file, and which is the Label field. NewsPrediction is the class used for prediction after the model has been trained. It has a float array (Score) and a Score ColumnName attribute. The Label is used to create and train the model, and it's also used with a second dataset to evaluate the model. The Score is used during prediction and evaluation. For evaluation, an input with training data, the predicted values, and the model are used. 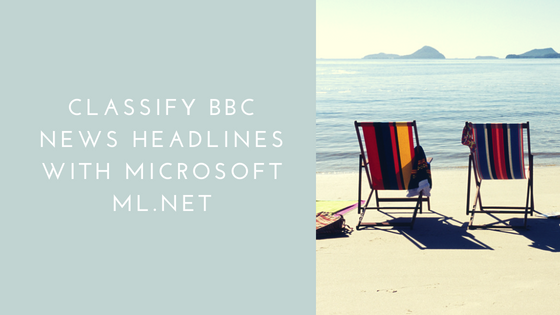 BBC News dataset consists of 5 folders (one for each category: business, entertainment, politics, sport, tech). Each folder has files with news articles. We need to pre-process this data before we can continue. Here we used StochasticDualCoordinateAscentClassifier as a classification method, but you can also try other avaialble methods in ML.NET and see how this will affect the results. Your results should be similar to the following. As the pipeline processes, it displays messages. You may see warnings, or processing messages. These have been removed from the following results for clarity. Congratulations! You've now successfully built a machine learning model for classifying news headlines. You can find the source code for this tutorial at GitHub repository. Here we write model in the file in _modelPath, but ML.NET also support read/write from streams. One of the easiest and most popular ways to increase system performance is to use caching. When we introduce caching, we automatically duplicate our data. It's very important to keep your cache and data source in sync (more or less, depends on the requirements of your system) whenever changes occur in the system. In this article, we will go through the most common cache synchronization strategies, their advantages, and disadvantages, and also popular use cases. Every developer has to manage with bugs. We have to deal with this because no one is able to write code without errors. Requirements are always changing, systems becoming more complex with time and in such situations, it's hard to not make mistakes. But how to avoid repetition of the same bugs when you edit a code? There's a good solution that will also save you some time while debugging the reasons of bugs. Testing is an important part of a software development. 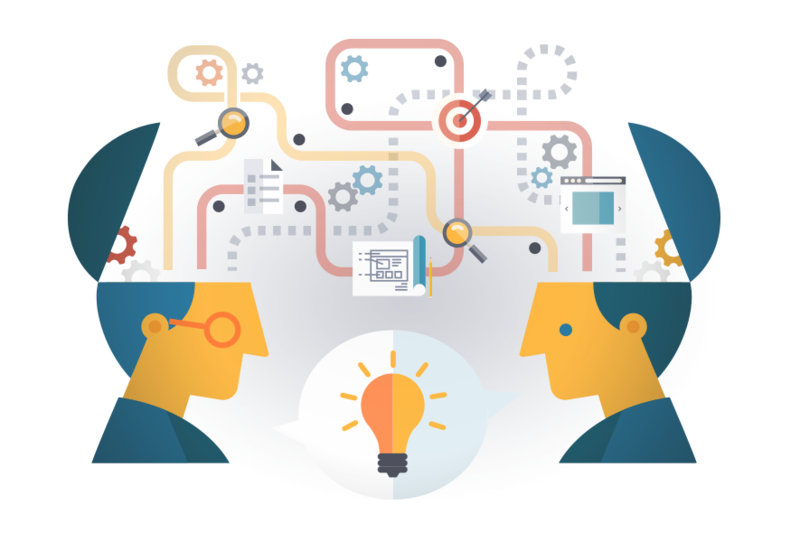 Testing is tightly coupled with development and many teams include not only developers but also testers (or even whole testing department). Because of this tight coupling, it is nice when testers and developers can share a common dictionary. With this goal, I'm posting here my notes on this topic. In this post, I will try to highlight what is testing, how it's connected with quality assurance and quality management. And also will describe seven testing principles and will path you through a fundamental test process.